The announcement came that there would be a second How To Train Your Dragon, and I believe I was more excited than any child ever was. I turned up at the cinema armed with my boyfriend, my boyfriend’s nine year old sister, and my Toothless plushie. The film went ridiculously quick compared to most films I’ve seen in the cinema (but I’m used to Marvel films, The Hobbitses and the Hunger Games, so that was understandable). But every second of it was beautiful. Without giving much away for those who haven’t seen it (and why haven’t you seen it yet? You’ve had plenty of time, hop to it! ), it was even better than the first one. Toothless gets a hell of a lot more airtime doing all sorts of cute cat-like things, to the point that when I left the cinema, my whole being ached for dragons to be real. I needed Toothless in my life. For real. In other words, it was good. There is a whole load of new dragons, and one in particular is almost as cute as Toothless… although we all know that’s impossible. His name is Cloudjumper. 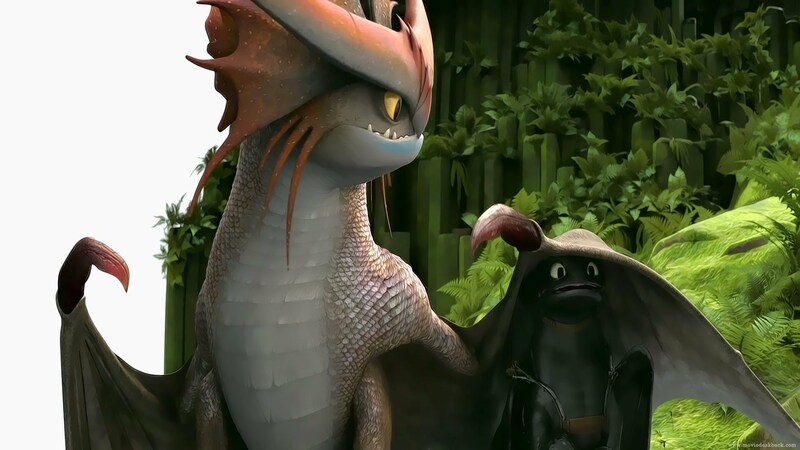 He acts almost like Toothless’ serious older brother, and their relationship is absolutely adorable. But there was one particular scene that I’m always going to choke up on, no matter how many times I rewatch it (and believe me I will). Some stuff happens. Sad stuff. So sad that I was sat in the cinema, surrounded by dry-eyed children, tears streaming down my face. I would have been full on sobbing if it wasn’t for my dignity. I would not break down in front of a room full of children! And thank God for 3D glasses making me look cool and unemotional when I was an utter wreck inside. All I can say is good job, Dreamworks. I may need rehab but at least you created another masterpiece. Easily the best film of the year. The plot is as clichéd and old as the hills… but it’s executed brilliantly. Albert Stark is the generic hero left broken-hearted by his unworthy girlfriend – until he meets Anna. Anna pretends to be his girlfriend in order to make his ex jealous. Then of course Stark falls for Anna in the process, only to find out she’s married to the big bad guy – Clinch (aka Liam Neeson, who is as hilariously awkward running with a gun as he was in the Taken films) Big bad guy is defeated, boy gets girl, happy ending. – Ryan Reynolds as a random cowboy with a five second appearance in which he gets shot. – Ewan McGregor as a Cowboy at the fair. – Christopher Lloyd – In character as Doc Brown! – Gilbert Gottfried as Abe Lincoln. – Jamie Foxx – in character as Django! …So I was partially bouncing up and down in my seat with excitement when I saw these tip-of-the-hats to some of my favourite movies. And they worked so well! But MacFarlane also subverts the expectations by taking a cliché, walking us up a familiar path with it, only to throw us off a cliff. For instance, in the usual ‘aha! The big reveal! This is how I cleverly beat you, bad guy!” moment, he’s cut short by the fact Clinch died a while back in his speech, and nobody got to see “how really clever” he’d been. But most importantly as a comedy, the film was funny. There were a few crude moments – but that’s to be expected. And for once, this comedy’s funny bits weren’t all shown in the trailer. In fact, some of the film’s funnier moments weren’t in it. Stark’s acid trip, the moustache song, and many other hilarities set this film apart from others like it. I couldn’t fault the acting or the casting, and I fully enjoyed it. Even if your sense of humour isn’t dark or warped, you should be able to appreciate the sarcasm, quick wit and irony in this film. I’d highly recommend going to see this film… Although I’ve probably just ruined a lot of it for you. SPOILER ALERTS! (Though you should have read the books already… so it’s your own fault). So after a slight mishap of reading the wrong cinema times that had nothing to do with me (honest! ), we finally sat down to watch Catching Fire. It begins with a montage of forest images, and then goes straight to Katniss in the woods with Gale. I found this scene a bit of a drab beginning… it seemed pointless, and going straight into the action would have been much better. In fact the entire beginning was quite boring, so much so that I can’t remember much of it. Until they shot the man in District 11. Then things started to get interesting. The film captured the adrenaline and fear and fire of the uprising perfectly. They did it quite subtly; the scribbled messages and symbols, the secret videos of fighting and massacres… it really gave a feel of a suppressed nation. And the Peacekeepers had a feeling of ruthlessness about them; killing anyone who happened to show the slightest sign of rebellion. 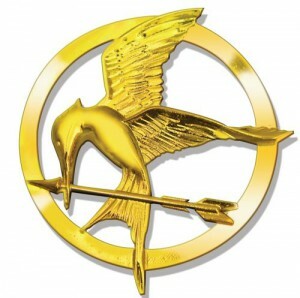 We felt along with Katniss the guilt and sorrow she must feel. After Gale is publicly whipped and his back is mended by Prim, a television appearance from Snow announces the Quarter Quell; the 75th anniversary of the Hunger Games. This year, the previous 24 victors will return to the arena. Katniss, her mother, Haymitch and Peeta’s expressions were perfect in this scene. They all reacted exactly how they should, and it brought tears to the eyes. Again, at the Reaping, it is painfully sad to watch (despite the humour of Effy Trinket pulling one piece of paper out of an otherwise empty jar). Effy herself was a lot more likeable in this film. Her dresses are wackier (and there’s more in her wardrobe than Katniss’), but she’s also a bit less ditsy. Haymitch is his usual drunken self, as the books dictate he should be. Some of his quips about alcohol, and drug induced victors are great, and they light the darkness of the story. For instance, in the moment when Peter announces, “we’re expecting a baby,” Haymitch raises his hip flask to him in the audience. Unfortunately, as I was watching, I remembered the events that were about to happen from the book. I haven’t read it in well over a year, and Cinna’s death came back to me just before the unveiling of the dress. The reveal of the mockingjay dress was beautiful, and his composure, his knowledge of his own self-condemnation was heart-breaking. However, when it came to the actual scene, it was a bit of a let-down. When his face hit the glass, I was expecting a really gory scene; enough blood and screams to REALLY upset Katniss, but he just sort of lay there whilst they kicked him and then dragged him off with a little bit of blood round his mouth. I don’t think they did that scene justice. But one thing they did get right was the arena. It was almost exactly as I pictured it; with the obscure clock face and the different, deadly things in each section. The mist was horrible – they blistered to the touch. The monkeys were genuinely terrifying; so much so that half the cinema jumped when one screeched. I never thought I was scared of monkeys. Suddenly I never want to be near one. Anyway, away from the monkeys. The casting was spot on. “Nuts” and “Volts” (or Beetee and Wiress) were awesome, but Johanna Mason was by far the best. It was good to have someone who wasn’t compliant to the rules of the Capital, but genuinely angry and a bit of a loose cannon. Jena Malone portrayed her well, and I found myself liking her more in the film than I did in the book. Finnick’s relationship with Mags is also lovely. Just the image of this young (and rather good looking) man carrying a tiny old woman on his back was so sweet, and it made it all the more depressing when she disappeared into the mist to save Peeta. You could tell she meant an awful lot to Finnick. The ending was a bit anti-climatic after the big lightning drama and everything falling apart around Katniss. It was an eerily beautiful scene, and I think it would have been better to leave it there… especially when they’re making Mockingjay into a two parter (like every other move franchise is currently doing). But Jennifer Lawrence’s facial expressions say a lot about Katniss’ emotions at the very end of the film. So overall, I’d give The Hunger Games: Catching Fire a 7/10. It was good, a bit boring to start with but as the action kicked in, it was gripping. They missed next to nothing from the book which is a rare circumstance in film these days (though it may have had something to do with Suzanne Collins being on the production team). I’d definitely recommend going to see it… and reading the books if you haven’t already! !